Chef John Brennan shows WTNH how to make peanut butter and jelly chicken satay with blueberry jam and Thai peanut sauce. Winter is when craft cocktail bars really get in on the warming-cocktails game, even in states where the temps remain balmy. We've rounded up a bevy of spirit-free options, too, so no matter what you're sipping, the forecast will be warm and fuzzy. 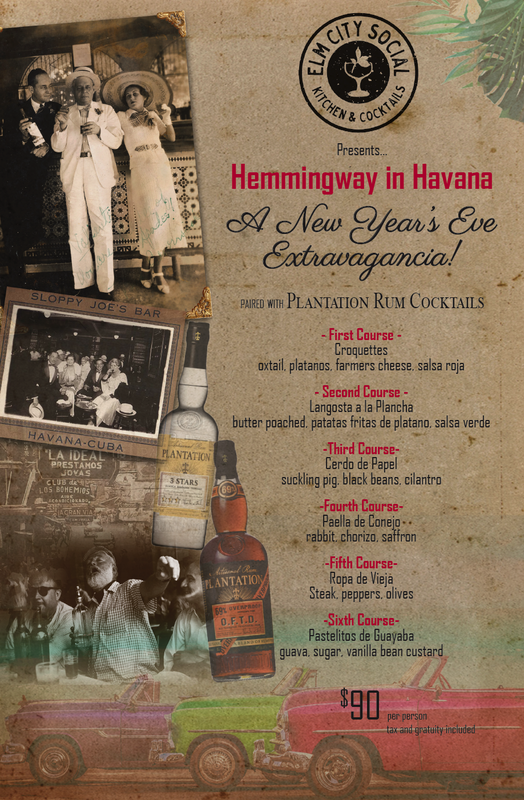 Hemmingway in Havana: A New Year’s Eve Extravagancia! Join us for New Year’s Eve and a 6-course dinner paired with Plantation Rum Cocktails! $90 per person includes tax and gratuity.